When we set out to learn music we rarely consider the psychology involved. Our main considerations tend to be connection to the physical aspects such as how to hold the guitar, where to put our fingers and perhaps the theoretical aspects like string names, general music theory and so on. Dealing with the monotony of repetitive exercises or playing the same old song over and over and over again hundreds of times only to realize you still don't sound like the recording can be somewhat depressing. It's this psychological toll that often breaks many beginner students eventually forcing them to quit. By being more aware of the psychological effects you will know what to expect. This is helpful especially in the early months when you will be questioning whether it's actually worth the effort but let me assure you right now it's more than worth it assuming you do actually have a passion for music of course. Learning music is fun right? For the average person music is something to be enjoyed. When you listen to music you do so for one of several reasons. It could be to relax, to lift your spirits, for fun or to create a mood. The problem begins when we place the same expectation on learning music. When we learn music suddenly it goes from being a pleasant experience to hard work. The fantasy quickly dissolves as reality sets in. 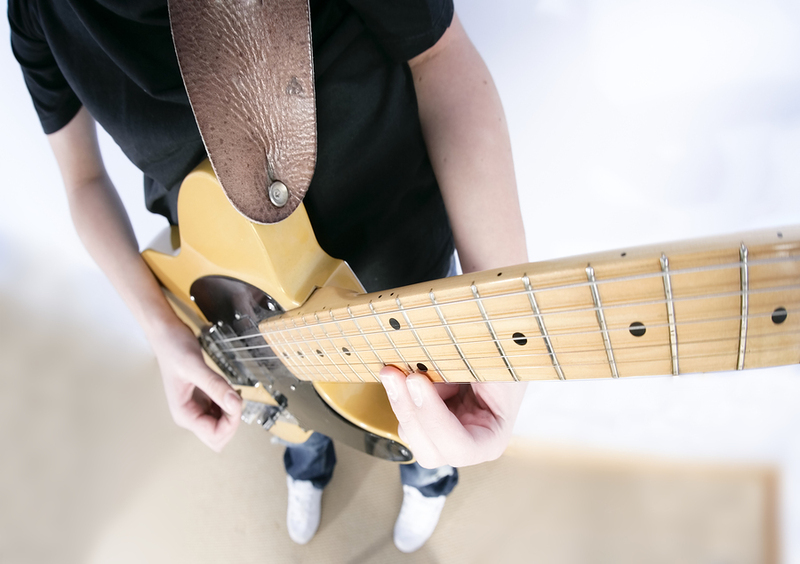 While to some this may seem obvious the fact is many students who take up guitar approach learning expecting the same experience as listening. Making a film is nothing like watching a film. Watching an Olympic athlete run the 100m is very different to training for the Olympics. 'No pain no gain' or in our case 'no practice no gain'. Perhaps you have seen one of those commercials selling home fitness equipment with perfectly toned individuals (probably athletes who train 5+ hours a day) using their ABC cruncher machine with a big smile on their face and appearing to be having fun. The machine may help to isolate muscle groups and I am sure works if used correctly but the fun is somewhat questionable. Getting fit requires hard work and daily commitment. The smiles come after months or even years of committed training. Guitar is no different. It will likely take years to reach a level where you can play a range of music that you can truly feel good about. There is no escaping this fact. The basic rule here is to be honest with yourself from the outset because this is a marathon and being honest means you will be better prepared psychologically to go the distance. Staying motivated requires understanding your own mind and this in turn requires some research. Firstly you need to know what motivates you. Can you name right now the top 10 things that would motivate you to practice right now. Is it listening to certain songs? Perhaps it's watching a DVD or talking to friends who play or going to lessons. It may even be reading a book on motivation or a biography of famous musician. Anything that makes you want to practice. I personally keep a journal and write a paragraph or two each night on how I felt about my practice and progress generally. This helps me to reflect while keeping my expectations realistic but best of all if I have an off day I can go back and read previous journal entries so as to remind me of the good days. The point is to find what works for you.